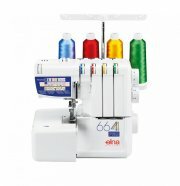 The Elna product line features Elna embroidery and sewing machines and Elna overlock/sergers. 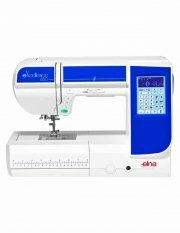 The Elna sewing machine and serger categories host a wide range of products, everything from basic mechanical models to high tech computerized ones, capable of sewing intricate embroidery work. 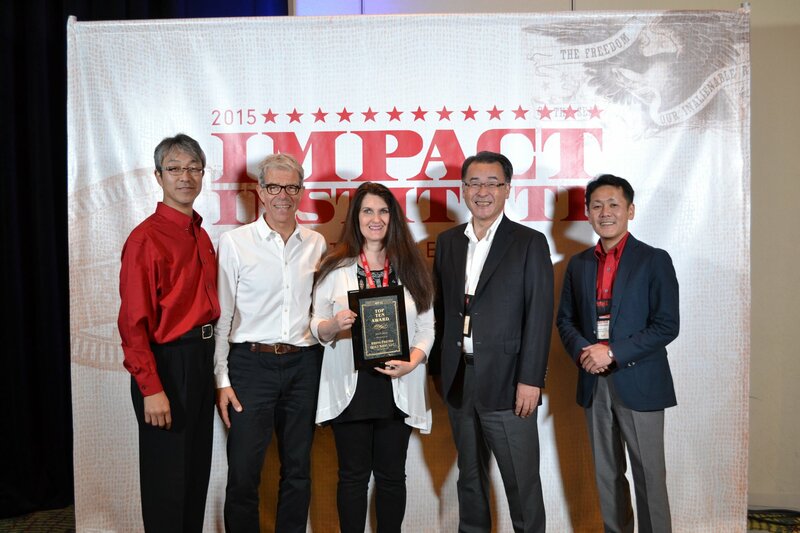 And, behind each product stands Elna's dedication to excellence and quality. Explore your creative side with the eXpressive 900. This is the perfect creative machine, combining the best features for quilting, embroidery and sewing. A wide 9mm stitch width means larger fonts, more distinct decorative and satin stitches, and more possibilities. Quilting is flawless using the IAF Flex unit, which creates perfect feeding from top and bottom. The wide range of included features and accessories include feet, hoops, and more to give you the tools for any sewing task. For even more options, try any of the 425 built-in stitches or 338 embroidery designs. Your creative eXpression is endless! Whether it's sewing or embroidery you want you can create all your designs in a blink of an eye and with impressive ease. A wide range of categorised embroidery patterns and the possibility to download your own files allows you to endlessly customise your sewing projects without ever compromising on quality. As for sewing, the eXpressive 860 will help you handle any type of fabric and offers you a choice of 200 stitches so you can create all your sewing ideas flawlessly, from decorative stitches to finishing touches! The eXcellence 760 PRO provides an exceptional sewing experience. Especially created for large patchwork and quilting projects, the 28 cm / 11'' long arm will provide all comfort and stability for any type of work. Quilters, garment sewists or home decor lovers will enjoy all technical specifications of eXcellence 760 PRO and discover new skills and talent! Many technical features are available on this model for an ease of use and for an important time saving that is particularly precious for large sewing projects. The new bobbin threader with built-in thread cutter is one of these features that users will enjoy and appreciate at any moment! The machine contains great versatility with 270 stitches, 11 buttonholes, and 3 Alphabet fonts. Innovative features such as One-step needle plate conversion and a remote thread cutter foot controller port enhance your sewing experience. The eXcellence 760 PRO is the perfect sewing machine for sewists of all abilities! You’ll find the eXcellence 720 brings a whole new inspiration to the vistas of your imagination. With a panorama of 126 stitches, from the simplest to the most grandiose, your creative nature will flourish. Before your very eyes, you’ll bring to life the embroidery and quilt designs you’ve always dreamed of. In just a few minutes, you’ll see an arabesque take shape, a festoon develop or a design motif begin to blossom. Whether it’s a simple detail or a sophisticated creation, the eXcellence 720 is naturally gifted to explore with you all kinds of new and unknown possibilities… you’ll see your wildest creativity flourish. The eXcellence 680 is both a powerful and convenient machine made to save you time and make your sewing easier. This computerized machine offers a large workspace area so that there is more room for large quilting and sewing projects. This 170 built-in stitch machine offers top-of-the-line features like an Automatic Thread Cutter and Tension System, and 7-piece feed dog. A compact machine with a unique design: the original Elna Lotus from 1968 is in the collection of The Museum of Modern Art (MoMA) in New York. The Lotus was Elna’s best selling machine of all time and a worldwide success: over one million machines were sold. streamlined design aids practicality and portability. Our finishing touch was to place the needle bar in a unique position in the center of the machine to give you much more room to move and manoeuvre your fabric.Simplicity and ease-of-use: that’s the Lotus spirit. This new Elna rock star of a machine contains the features we love in a big machine, which makes it a great starter machine for the beginning sewist or a travel machine to take with you to retreats or classes. At just 12 lbs. it is easy to grab and go anywhere you choose. Have fun with the eXperience 540. This dynamic machine can handle any fabric - no matter how tough it may be, so it is perfect for the sewing enthusiast. Embellish your favorite denim jeans. With the 540, it is possible. Personalize your wardrobe today with Elna. Sewing will be a breeze with the eXplore 340 and you navigate through any project with ease and agility. Feel the thrill of new possibilities with Elna's easy-change spool system and automatic needle threader. Explore the many practical and decorative stitches. This is a great sewing machine that is both fun and well-equipped with the features needed to fulfill your basic sewing needs. It is user-friendly which makes it perfect for those new to sewing. 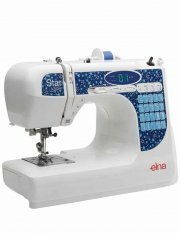 Hemming a skirt or sewing on stretch material will no longer be a dreaded task with the Elna 664 Pro. Serge with 2, 3 or 4 threads. Use the Program Reference Panel to easily adapt to each sewing selection.